Now that the cover is off you can pull of the o-ring seal. I use a small screwdriver to get that off. 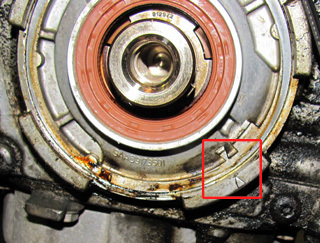 Then use a large screwdriver to pull out the crankshaft seal. Be careful not to scratch the edge of the hole. 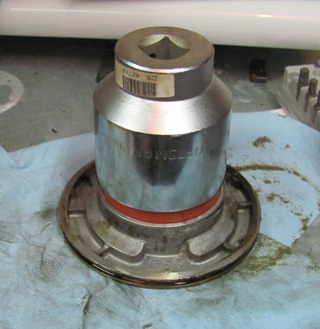 To insert the new seal, I found a big socket that just fits inside the hole and hammer the seal in place. It will be slightly below the top of the hole. Now you can install the cover back on the engine. 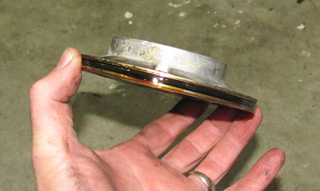 The oil pump should not need to be primed as there is still plenty of oil on the gears. However, you can apply some petroleum jelly if you want. 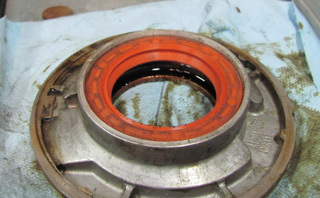 This will also help prime the oil pump. Be sure to line up the arrows in the front. The arrows in front are to make sure the pin in the pump fits inside the cover. Now install the C-Clip back on. This is actually harder than removing it. Make sure the clip is fully seated along the entire edge. 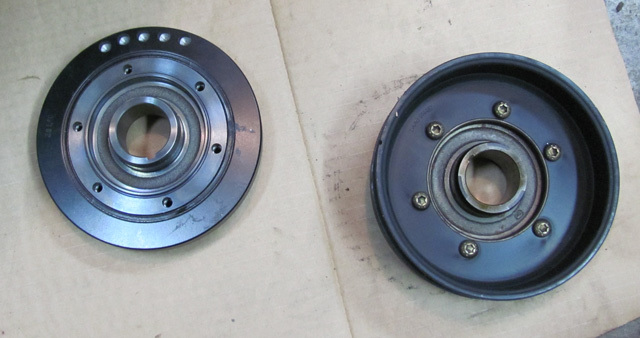 Now you have to remove the belt guide from the old harmonic balancer and install it on the new pulley. The screws do not have to be super tight. Just tight enough where they will not fall out. You may want to add some blue threadlocker to the threads for some added insurance. The last step is to install the pulley back on the car. There is a key indentation on the pulley. This must line up with the key on the crankshaft. Now tighten the pulley bolt to the specified torque. The Haynes manual is very good for this type of data. I believe my car was 130 lb/ft. Now install the serpentine belt and loosen the belt tensioner. I usually start the engine and watch the belt before installing the engine cover. This helps me see if the belt is moving straight and listen for any pulley that might be going bad. 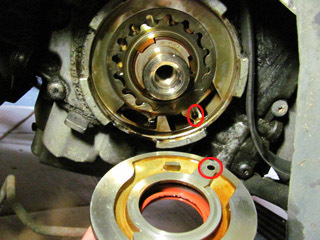 You also want to check for oil leaks around oil pump cover. If everything looks good you can install the engine cover and call it a day!